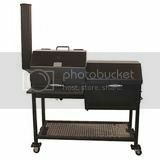 Grill vs Ambient Temps | Smoking Meat Forums - The Best Barbecue Discussion Forum On Earth! Discussion in 'Wood Smokers' started by cnl390, Nov 8, 2018. I am thinking about buying a Fireboard and see that they offer a threaded ambient temperature probe. I have always used my probe on the grill grate. Using the threaded one would be much easier, but isn't using a probe on the grate better. My pit has a threaded hole just above the nameplate. I wonder if they mean the grate temp., by definition ambient means the temperature of the area surrounding what your monitoring. So there can be many different meanings to the word ambient - not just the outside temp.